Updated 1:49 p.m. with additional information from the Associated Press on other failed appointments. Missouri Gov. 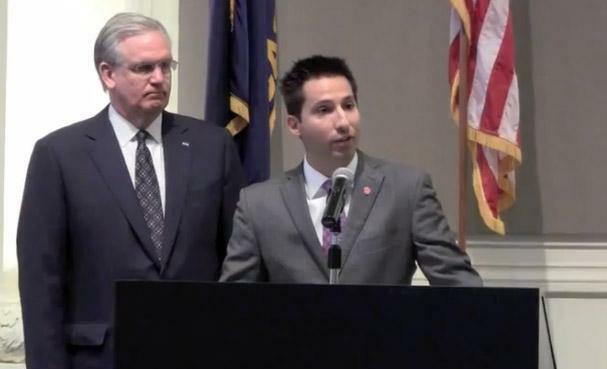 Jay Nixon announced this morning that Jason Hall, Nixon's nominee to be the new director of the Missouri Department of Economic Development, has resigned. This article first appeared in the St. Louis Beacon, Feb. 2, 2012 - Gov. 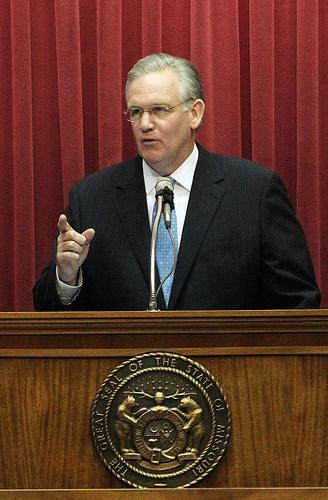 Jay Nixon's embattled choice to lead the Department of Economic Development is stepping aside amid the Missouri Senate's decision not to vote on his nomination. Senate Republicans have scuttled Gov. Jay Nixon's nominee to direct the Missouri Department of Economic Development. The Senate Gubernatorial Appointments Committee refused to vote Wednesday on confirming Jason Hall to head the department. Senate President Pro Tem Rob Mayer says he has no intention of bringing Hall up for a committee vote before the deadline to confirm him expires. This article first appeared in the St. Louis Beacon, Dec. 31, 2011 - As he heads into his re-election bid, Gov. Jay Nixon has tapped a known quantity -- Jason Hall, executive director of the Missouri Technology Corporation -- to serve as the new director of the Missouri Department of Economic Development. Hall will handle economic development issues during the coming legislative session, the last before the November 2012 election. Missouri Gov. Jay Nixon has picked the head of the state-funded Missouri Technology Corp. to be the state's third economic development director in less than four year.